Water Source Furnace geothermal systems are among the most efficient, energy saving, environmentally conscious heat pumps you can purchase. 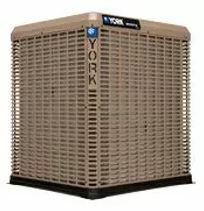 They are a natural heat pump that will give you years of reliable, safe home comfort at a low cost. 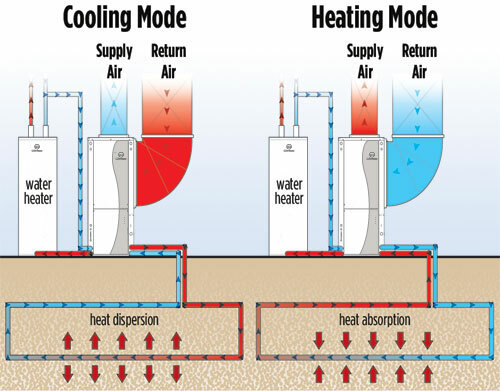 A Water Furnace geothermal system operates more efficiently than ordinary heating and air conditioning systems because it can deliver astounding five units of energy for every one unit of electrical energy used. By combining stored earth energy with safe electric power, many Water Furnace owners realize savings of 60% and more for heating, cooling, and hot water. Geothermal Heating During the heating cycle, a Water Furnace geothermal heat pump uses the earth loop to extract heat from the ground. As the system pulls heat from the loop it distributes it through a conventional duct system as warm air. The same heat energy can also be used for a radiant floor system or domestic hot water heating. The Versatec Base provides a true value product line to the commercial water source heat pump industry. This product is engineered to offer high efficiency operation while maintaining a small cabinet footprint and an impressive list of value-added features. With its compact design and ability to perform optimally in both water loop and geothermal applications, the Versatec Base is an ideal solution for both retrofit and new construction applications.In residential and commercial applications, the Versatec series can be installed at a competitive price, providing years of comfort, savings and reliable performance. Versatec Water-Source Heat Pumps are designed to meet a wide range of heating and air conditioning requirements where budgets dictate competitive costs while providing high performance. The Versatec hot water assist package provides domestic hot water at a fraction of the cost of ordinary water heaters. The smart design of the Versatec product line makes it suitable for both geothermal closed loop and well-water installations. For maximum flexibility, Versatec units can adapt to the application - houses, condominiums, hotels/motels, apartments, offices, schools etc. Compact cabinets allow the units to be placed where space is at a premium -- closets, small mechanical/utility rooms, or above suspended ceilings. Access to all internal components for servicing is simplified through the use of multiple removable panels. Interior panels located in the air stream are lined with high-density insulation.